ShutterLovers.com - Exterior Vinyl Shutters. Free Shipping! 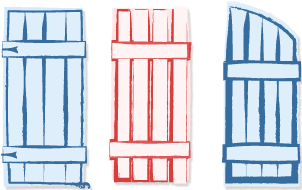 Louvered Shutters - With crisp angles and lines, these shutters provide a timeless look which perfectly complements both historically-inspired and contemporary architecture. 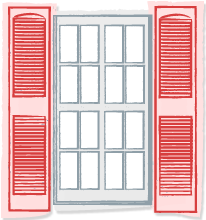 Make a Statement with your Shutters! 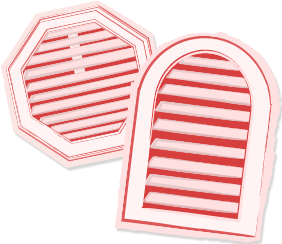 Raised Panel Shutters - With detailed depth and simple elegance, these shutters offer a handsome look that adds warmth to a range of home styles. Board-N-Batten Shutters Rich, Old-World charm provide a traditional, rustic accent that complements a range of architechtural sytles. Windows and doors may get all the attention. 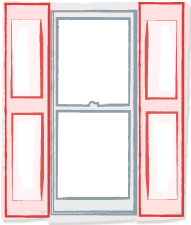 But it's our window headers, door surrounds and trim that truly draw the eye in, providing a depth and visual interest that give any home that finished look. What's the style of your home? 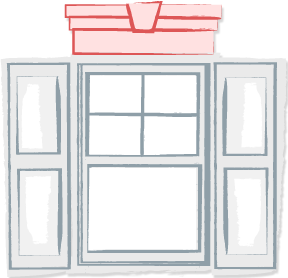 Shop by Louvered, Raised Panel or Board-N-Batten shutters. Find your perfect color swatch, order Free Color samples! We are home of the world's best selling. Need help? Contact us.